There is no airport on Koh Lanta. Krabi Airport is the nearest airport to Koh Lanta. There are numerous daily flights from Bangkok to Krabi Airport. Compare Bangkok to Krabi flight times and prices on Skyscanner. From Krabi Airport you can get a fast speedboat transfer or a private minivan transfer direct to your hotel on Koh Lanta. The fastest way to get to Koh Lanta is with a fast speedboat transfer. The transfer involves a 45 minute car journey and then a scenic 15 minute speedboat ride along Koh Lanta’s beautiful coastline, followed by a transfer to your Koh Lanta hotel by car. You can book a private minivan taxi transfer from Krabi Airport to Koh Lanta direct through AmazingLanta.com. Visit their Krabi Airport to Koh Lanta Transfer page for more information and to make your booking. 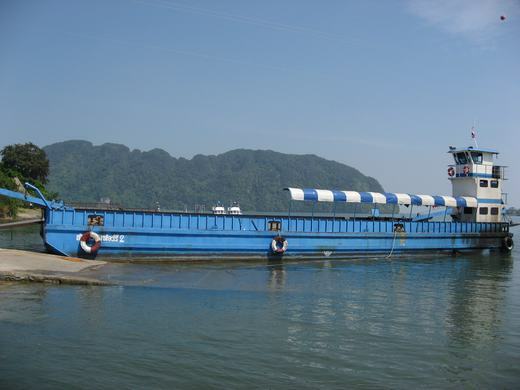 Follow the links above for times and pricing for ferries to Koh Lanta, all of which can be booked online. 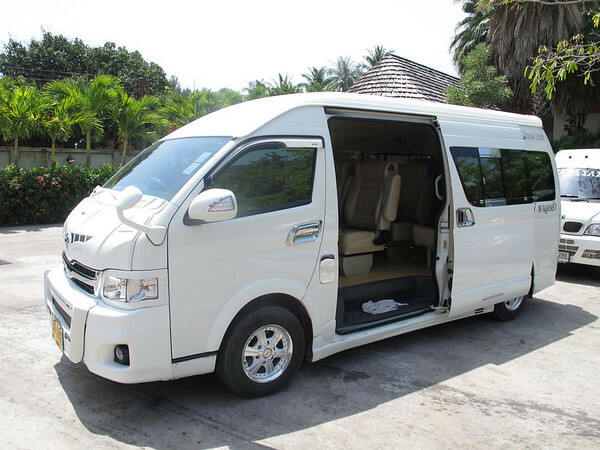 The cheaper option is to get a minivan taxi at Krabi airport, which seats up to 10 people and departs from the airport when the taxi is full. Backpacks or suitcases are stored on top of the van and conditions can be very cramped. Minivan taxi cost: 300 Baht per person.